any changes to your sleep system of late? Discussion in 'Sleep Systems' started by mtwarden, Oct 9, 2018.
riverjoe, Gruxxx, LongAgoLEO and 11 others like this. I just received today a slightly padded Mylar blanket to use as a ground pad or in a hammock. I hope to test it soon. JGB, Haggis, Sbrody and 3 others like this. LongAgoLEO, Haggis, Sbrody and 3 others like this. I have had an Enlightened Equipment down quilt for a while now, but had a chance to use it for the first time when I backpacked into the Superstition Wilderness for a 3 day Coues deer scout trip this past weekend. I had been using a Marmot down mummy bag for many years. The first night I set up in haste in the dark and didn't get all the straps, snaps, and clips figured out, so it was a bit drafty and chilly. The next two nights I had it set up correctly, and I must say I really like it! A good weight savings over the full bag, although it is also not rated quite as cold as the bag. I probably would have been too hot in the bag. I am still loving the luxurious comfort (relatively, of course, compared to my bed ) of my Big Agnes Q-Core SLX long/wide! Edit: For a pillow, I have a Cocoon pillow of some sort. I do not like it. It is slippery, and noisy, and whatever part of my head that is touching it gets sweaty. I need to do something different, I have heard good things about those S2S ones. LongAgoLEO, JGB, Lichen and 5 others like this. Gruntinhusaybah, Haggis, Sbrody and 2 others like this. I just got a Kelty cosmic down bag to add to the mix. Savings measured in pounds over the MSS setup I have been using. That and the wiggys all still have their place, but the older I get, the heavier they all feel. SideshowRaheem, Cueball77, Haggis and 3 others like this. Not sure how much I like the XLite, it's noisy. I'm hoping it gets quieter like some claim, but I tried to artificially break it in with no success. Haggis, Sbrody, Bobsdock and 2 others like this. I finally took my sleeping bag to the laundromat after some number of years. Added a couple inches of loft. Also before I did that I repaired a torn seam so I wouldn’t wake covered in down. LongAgoLEO, Haggis, Sbrody and 2 others like this. I finally bought a hammock and 3 under quilts to cover all seasons. Gruntinhusaybah, Haggis, ra2bach and 3 others like this. I am always working on my winter kit. I love the Xtherm. I have a large. To me the added weight is worth it. UAHiker, mtwarden and Haggis like this. icemanx722, JGB, Lichen and 2 others like this. I sympathize. at first I was uncomfortable with the extra steps vs a tent but now I won't go back to sleeping on the ground. after a few times setting up and taking it down, it becomes second nature. 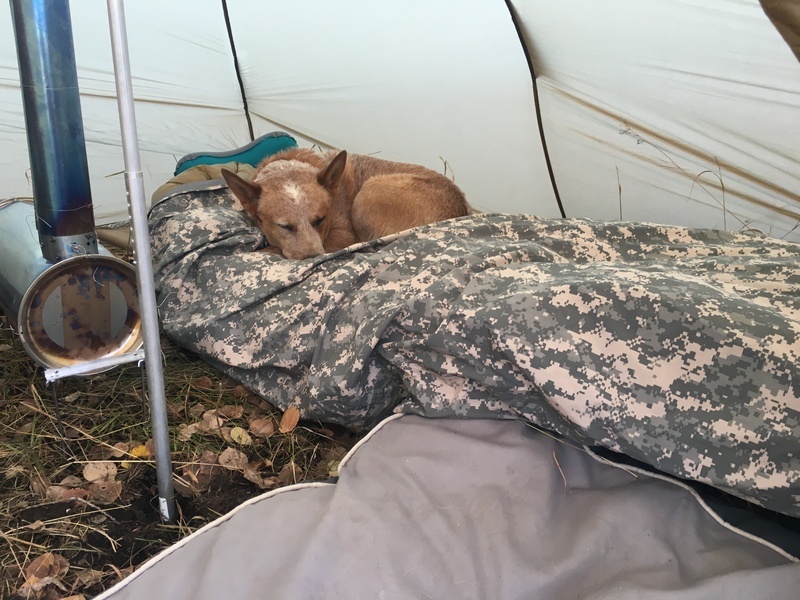 I was initially drawn to hammocks because of the ability to use it as a chair/lounger in camp and to use my hiking sticks to raise one side of the tarp like a porch. this lets me do everything I want to do (cook, read, relax, trim my toenails...), and keep all my gear under cover of the tarp regardless of the weather. mtwarden and Haggis like this. riverjoe, LongAgoLEO, Lichen and 2 others like this. LongAgoLEO, Haggis and mtwarden like this. Where did you fined CCF in those dimensions? Sounds ideal. Haggis and mtwarden like this. there used to be several places that sold a wide variety of ccf pads, but for some reason seems like no one is any more- possibly there is a commercial outlet for the stuff???? UAHiker and Haggis like this. I'll give ya $1.50 for it!!!!! Changed from backpacking with a 3/4 length Thermerest Neoair XLite to a full length one. The extra comfort is well worth the few extra ounces. Been using a full length and slightly larger Exped pad for car camping for a few years now and sleep so well on that I wanted a full length pad for backpacking also. I had the same problem with my Kelty. Talk about lousy temperature rating! I didn't know there were Coues deer in The Superstitions. I thought you had to go much farther south. There are pantloads of Coues deer in the Supes!! 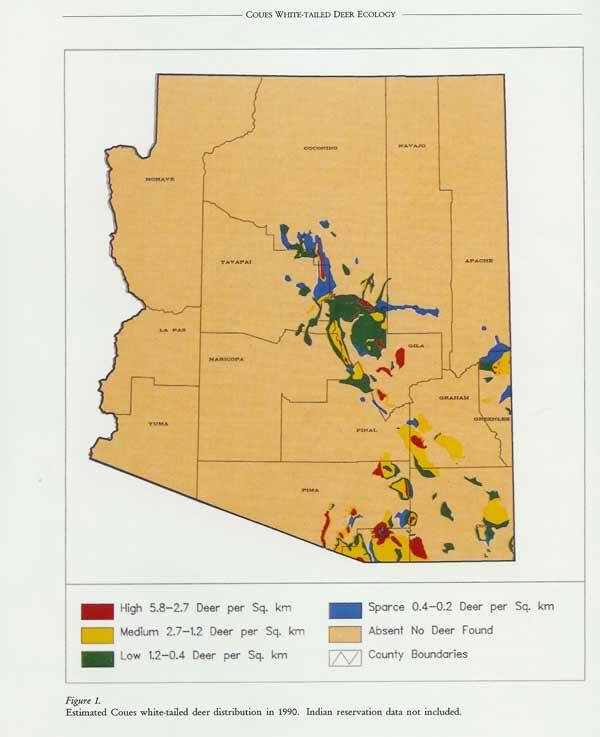 There are Coues north of the Mogollon Rim, and in the White Mountains, etc. See the distribution map below. Lichen and mtwarden like this. Picked up an enlightened equipment convert. UAHiker and mtwarden like this. Crusher0032, UAHiker, LongAgoLEO and 3 others like this. M1949 wool sleeping bag with canvas cover, Walmart sleeping bag liner inside to prevent the woolly-itchies. Haggis, UAHiker, SideshowRaheem and 1 other person like this. I've switched from a sleeping bag to wool blanket(s) and a sheet as of late. I have been using a Coleman 0 degree bag. I doubt I’d be comfortable under 20. 30 has been fine. this is one of the applications that I think Reflectix would work well. it rolls up smaller than regular foam pads and though it's not very insulative by itself (R-value 1.1), it will cushion and protect your air mattress but more importantly, it's a reflective radiant barrier and will extend the warmth rating of your air mattress. First I dropped some money on a nice down Exped sleeping mat. That used with my old beat up foam z-lite has been almost too warm thus far while using my 40 degree quilt. Second has been buying a Nemo Fillo pillow. Super comfortable and worth the extra weight to hike in. No changes to my "real" sleeping gear, but when Bass Pro was acquiring Cabela's, I decided to purge some bonus points on credit there before they got lost in transition. Didn't need anything, but had always thought a super comfy sleeping bag to accommodate an absolute heating emergency in my fish house would be nice. Have normal bags in there year around, but wanted something in case it really was a dire need and possibly to accommodate two people. I know temp ratings are subjective, but this bag was the old, rugged-style cotton canvas outer shell with flannel lining, 44" wide, heavy-duty and rated at -30F. When the box appeared on my front porch, I thought it was a toolbox for a truck bed. It does roll up nicely and fits in an old army duffle bag - barely. Weighs 14-pounds. So thick, I can't imagine even needing a pad (of course the fish house has cushioned bunks anyway). plue, icemanx722, Haggis and 2 others like this. now that's a sleeping bag! LongAgoLEO and icemanx722 like this. I am a big guy, 6-2 and 260 so finding the right sleeping bag has been a challenge. I am a side sleeper and I move around a lot in the night. I have a MSS with a bivy bag and it was too constraining. I have been really happy with my Nemo Strato Loft 25. It is a rectangle bottom, which I love and has a sleeve for the mattress pad so no sliding off. I have used it into the teens and was comfortable as could be. I found it on Facebook Marketplace and glad that I did since it is not made any more. 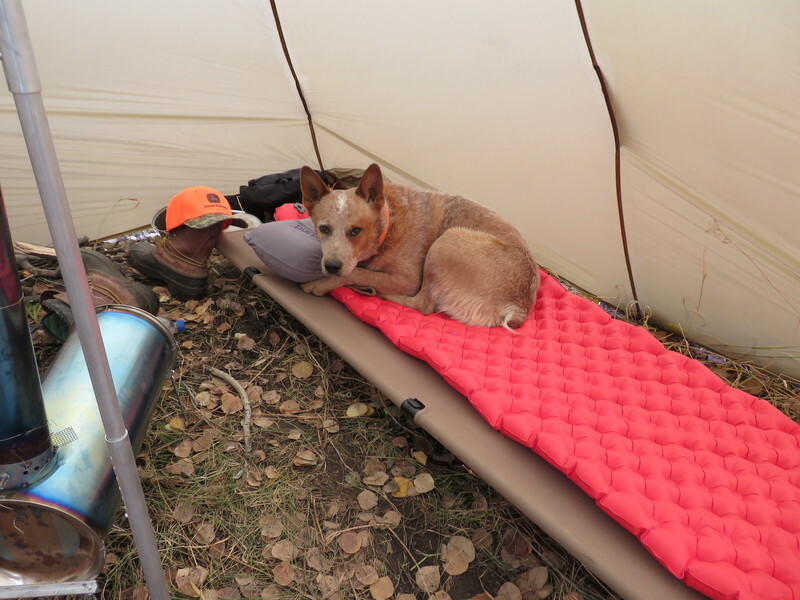 Designed to mate with Nemo''s Cosmo™ series sleeping pads, the Strato Loft™ has a roomy rectangular cut (a full 4 inches wider than our Spoon™ Series backpacking bags) and stretch stitch construction for plenty of room to move. Dual side zips allow you to sit up easily or link 2 or more Strato Loft™ bags together. When you wake up in the morning, roll up the bag with the pad inside and store it packed for your next outing. The lightest bed you’ll ever own. mtwarden and LongAgoLEO like this. With all the huge fires we've had, things aren't what they used to be. Large swathes of the White Mountains are a shell of their former selves. Same for the Chiricahuas. The Rim hasn't been affected quite as much. I just acquired a differential cut, 950fp, long, wide, black and brown flecktarn pattern, 3 oz overfill, 20 degree top quilt. Beyond excited to say the least. Took it out last weekend but only got down to the mid 30s. It's supposed to be low 20s this weekend. I'll get to really get a feel for what she can do. icemanx722 and mtwarden like this. Underground Quilts. Their Renegade quilt. Nope. I'm very happy with my Warbonnet hammocks, UGQ quilts, and silnylon / silpoly tarps. I wouldn't mind adding a 0* quilt set, but for the price and number of nights I sleep in sub-20 temps, I'm doubling up on quilts or supplementing with a pad for now on those occassions. icemanx722, Red Wing and mtwarden like this.